The heart is made of cardiac muscle. 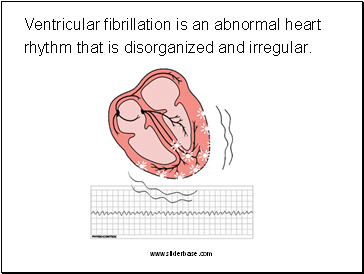 When the cells receive an electrical impulse they contract - causing a heartbeat. 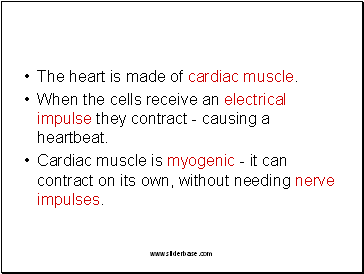 Cardiac muscle is myogenic - it can contract on its own, without needing nerve impulses. 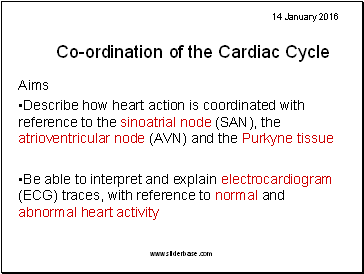 This specialized node is found on the upper inside wall of the right atrium. 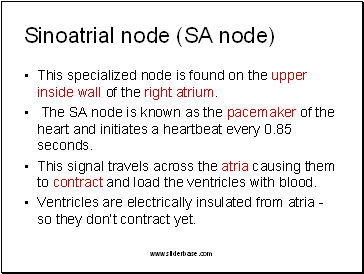 The SA node is known as the pacemaker of the heart and initiates a heartbeat every 0.85 seconds. 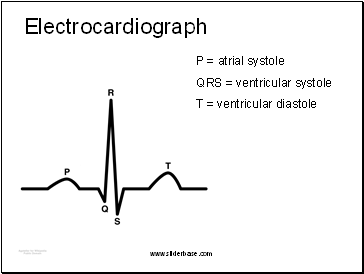 This signal travels across the atria causing them to contract and load the ventricles with blood. Ventricles are electrically insulated from atria - so they don’t contract yet. 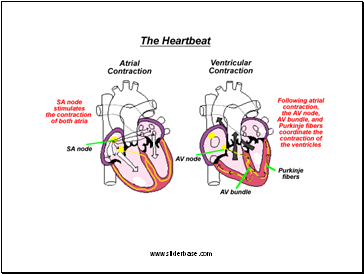 The AV node is located on the bottom surface of the right atria and is responsible for initiating the contraction of the ventricles. 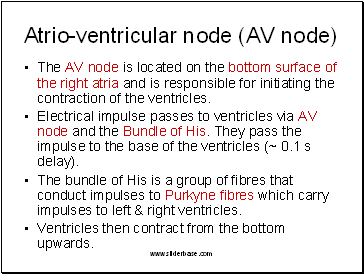 Electrical impulse passes to ventricles via AV node and the Bundle of His. 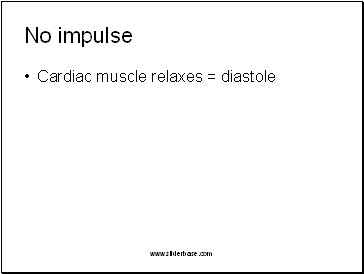 They pass the impulse to the base of the ventricles (~ 0.1 s delay). 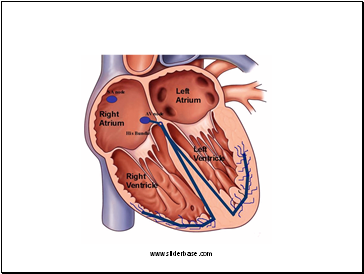 The bundle of His is a group of fibres that conduct impulses to Purkyne fibres which carry impulses to left & right ventricles. 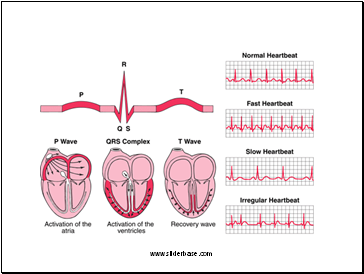 Ventricles then contract from the bottom upwards. 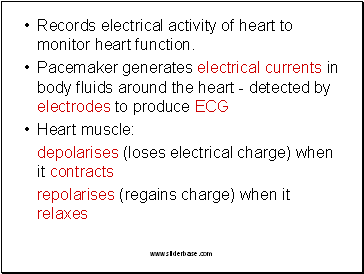 Records electrical activity of heart to monitor heart function.